Along with the best price to date on its Y40 notebook ($799 with a Core i7, R9 M275, 1080p display and 256GB SSD), Lenovo has cut nearly half off the price of its Yoga 11s hybrid ($549 with a Core i5, 128GB SSD and a rotating flip-and-fold IPS display). Also of note, the HTC One M8 32GB is back in stock for $50 with a Verizon contract (normally $200), Dell's 32-inch 3840x2160 IPS monitor is going for $2,000 with free shipping (down $500), and one person will win a Parrot AR.Drone 2.0 on September 17 in a giveaway hosted by Faveable. Back in stock! HTC One M8 32GB Windows Phone [w/ new 2-year Verizon Wireless contract] for $49.99 with free shipping (normally $199). Ends soon! Lenovo Yoga 11s Core i5 Multi-mode Laptop w/128GB SSD for $549 with free shipping (normally $999.99). ASUS C200MA 11.6" 2.16GHz Intel Dual-core Chromebook w/ HDMI, USB 3.0, Wireless-AC, Webcam, 16GB SSD & over 10-hour battery life for $199.99 with free shipping (normally $249.99). Lowest price ever! Lenovo Y40 Core i7 1080p Gaming Laptop w/ 256GB SSD & Radeon R9 M275 Graphics for $799 with free shipping (normally $1,099 - use coupon code: RMNUSLENOVO3). Dell Inspiron 15 (7000-series) 4th-gen Intel Core i7 "Haswell" 1080p Touch Laptop w/ 16GB RAM, 2GB GeForce GT 750M + WM713 Wireless Touch Mouse for $899.99 with free shipping (normally $1,160 - use coupon code: D8BTSJV47V70FM). Lenovo B40 Touch Dual-core 21.5" 1080p All-in-one Touch PC for $519.99 with free shipping (normally $699.99 - use coupon code: ). HP ENVY 700-215xt 4th-gen Core i7 Desktop w/ Windows 7 (customizable) for $624.99 with $9.99 shipping (normally $849.99 - use coupon code: PC599Q4). Lenovo H500 2.41GHz Dual-core Intel Celeron Mini Tower Desktop w/4GB RAM, 1TB Hard Drive & Windows 8.1 with Bing for $199.99 with free shipping (normally $319 - use coupon code: H500CLEARANCE). Logitech Z623 THX-certified 200W RMS 2.1-channel Speaker System for $109.99 with free shipping (normally $149.99). 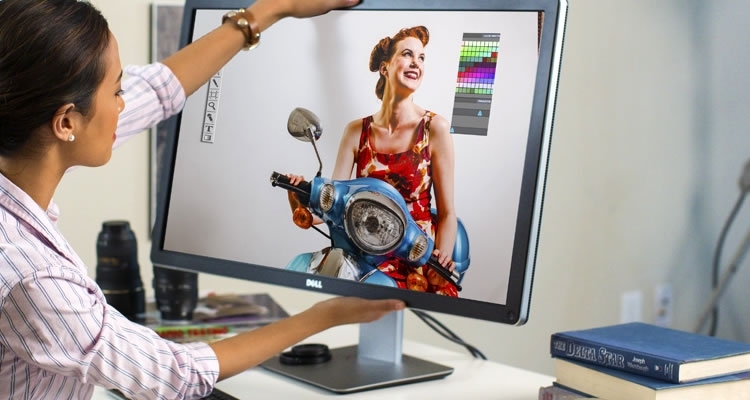 32-inch Dell UP3214Q UltraSharp 3840x2160 IPS Monitor for $1,999.99 with free shipping (normally $2,499.99 - use coupon code: WQWGLVD2MG7NM9). 21.5-inch Dell UltraSharp UZ2215H 1080p Anti-glare IPS Monitor w/ 2MP Webcam, USB 3.0 Hub for $223.99 with free shipping (normally $279.99 - use coupon code: WQWGLVD2MG7NM9). ASUS Google Nexus 7 2nd-gen 1080p 16GB Android Tablet (Refurb) + Leather Sleeve for $129.99 with free shipping (normally $169.99). 7" Toshiba Excite 8GB Android Tablet (Refurbished) for $59.99 with free shipping (normally $85). Eton Soulra XL Solar Powered Sound System for $79.99 with free shipping (normally $199.99). Ends soon! FAVI Mini 2.4GHz Wireless Keyboard with Mouse Touchpad (Green) for $20.43 only (normally $29.99).